Here we will see how to fix MovieBox Server Not Available error on iOS. We all know that MovieBox is one of the trending movie streaming apps for iOS, but for some users when they try to play some movies, they will get “server not available” error in MovieBox App. MovieBox has users all over the globe and so are it’s servers. You might be already knowing the fact that MovieBox gets its video feed from torrent sites, so it is expected that in some regions, when you try to play any movie, you may receive MovieBox server not available error. 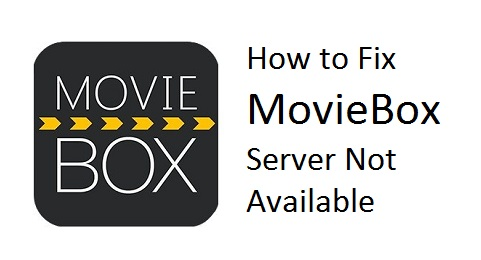 Here in this post, I will let you know the reason why you will get that error and how to fix MovieBox Server Not available error. As I already said, MovieBox gets its video feed from torrent sites and there are chances that the particular movie that you are trying to watch would need VPN, because it may not be supported in your country. MovieBox developers had to remove the streaming server for some locations. In that cases, you will see the errors “Not Available For Online Watch” or “Server Not Available” when you try to watch any movies. This is expected and to fix this you need to use a VPN service on your iOS device. So to fix “MovieBox server not available error“, you need to use a VPN service on your iPhone/iPad. You can use any VPN service and set location to US. After that, close MovieBox from multitasking and reopen it. Now once you reopen MovieBox, you will see that streaming is available for that movie. So, it is recommended to use a VPN service on your iPhone/iPad to avoid these errors when you try to play movies. If you have any queries on this, you can post your comments below.